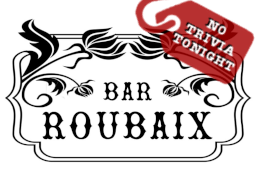 Due to a private event at the venue, there will be no trivia tonight (1.21) at Bar Roubaix. We'll see you back next week. In the meantime, be sure to follow us on Instagram.